Late preterm infants and their families require recognition that their needs are different from the very preterm or term infant and family. Globally care for this population varies widely. This chapter brings together personal perspectives that present LPIs within a country context and health-care professionals’ personal stories of providing care to this vulnerable population. Narratives from Brazil, Japan, Malawi, Russia, and South Africa weave the collective story. March of Dimes (MOD). Born too soon and too small in Hawaii. 2015. Available from: https://www.marchofdimes.org/peristats/pdflib/195/15.pdf. Centers for Disease Control & Prevention (CDC). QuickStats: Percentage of Infants Born Late Preterm, * by Mother’s State of Residence-National Vital Statistics System, United States, 2012(2014). Available from: https://www.cdc.gov/mmwr/preview/mmwrhtml/mm6320a6.htm. March of Dimes (MOD). Born too soon: the global action report on preterm birth. 2015. Available from: https://www.marchofdimes.org/mission/global-preterm.aspx. World Health Organization (WHO). The WHO African Health observatory. (2015). Available from: http://www.aho.afro.who.int/profiles_information/index.php/Malawi:Analytical_summary_-_Service_delivery. Chan GJ, Valsangkar B, Kajeepeta S, Boundy EO, Wall S. What is kangaroo mother care? Systematic review of the literature. J Glob Health. 2016;6(1):010701. Available from: https://www.ncbi.nlm.nih.gov/pubmed/27231546. World Health Organization (WHO). World health statistics – 2014. Geneva: World Health Organization; 2014. Available from: https://knoema.com/UNWHODATA2014/un-world-health-statistics-2014?location=1001930-zambia&variable=1002040-preterm-birth-rate-per-100-live-births. Macado AKF, Marmitt LP, Cesar JA. Late preterm birth in the far south of Brazil: a population based study. Rev Bras Saude Matern Infant. 2016;16(2). Available from: http://www.scielo.br/scielo.php?script=sci_arttext&pid=S1519-38292016000200113. Save the Children. Time to focus on 84 000 preterm births in South Africa. Sango Pulse Net. 2012. 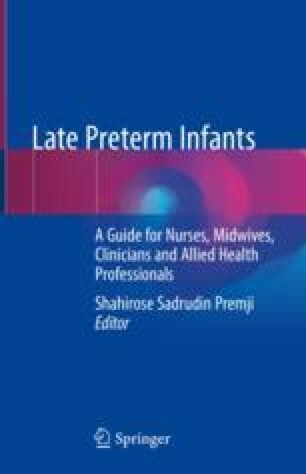 Available from: http://www.ngopulse.org/press-release/time-focus-84-000-preterm-births-south-africa.